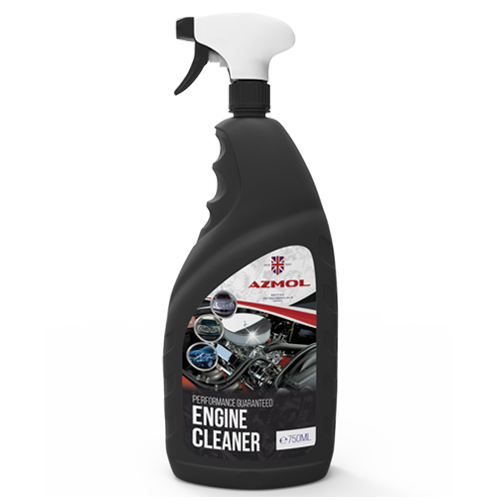 The agent is intended for external cleaning of the engine and engine compartment from old dirt. Active ingredients quickly dissolve even bonded deposits of oil, fat, cold proof coolant, fuel and other technical fluids. Application: Do not use for any other purpose than the indicated use. Use rubber gloves. Turn off the engine and let it cool down. Be sure to remove the terminals from the accumulator and cover the elements that are sensitive to water with a film. Using a sprayer, apply the agent onto the engine and hold for 30-45 seconds. Wash off with jet of pressure water and wipe with a tissue. Treated water, potassium hydroxide, non-ionic surfactant < 5%.